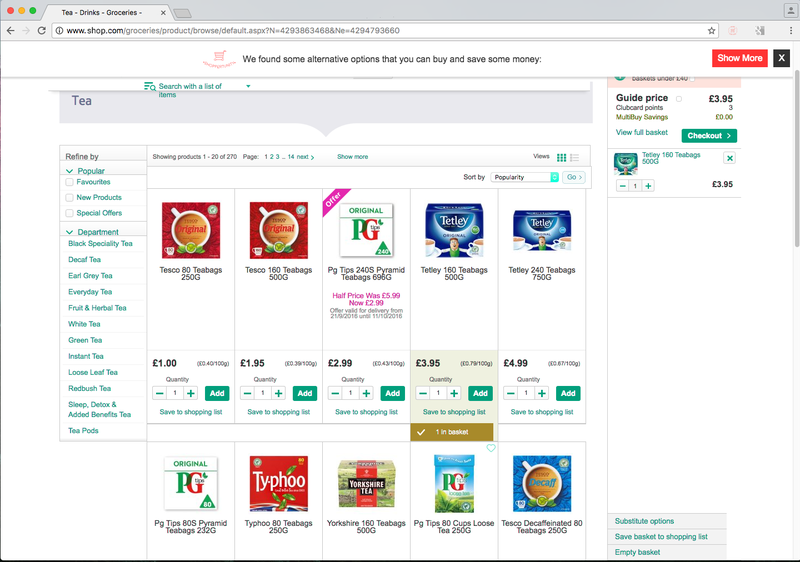 Online grocery shopping can be a hassle, especially when youâ€™re trying to compare the costs of your favourite items to find the best deal. Gocompare.comâ€™s Deal Finder changes that. This Chrome plugin will help you save money by finding the best deals on the items youâ€™re adding to your basket. 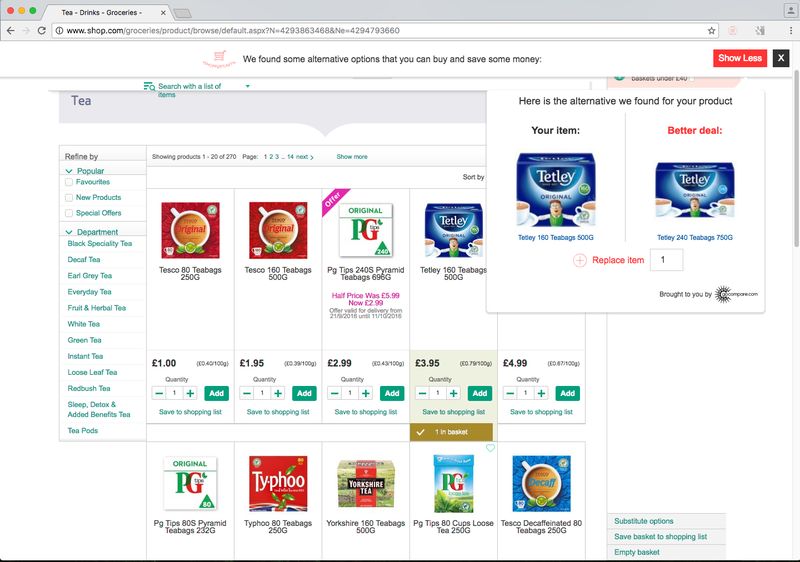 Deal Finder is currently compatible with Asda, Morrisons and Tesco. 2. While shopping, if there's a better deal available on the item youâ€™ve selected, a notification will pop-up on screen. 3. Make your choice between the Deal Finder suggestion and your original selection. 4. Replace the product in your basket. 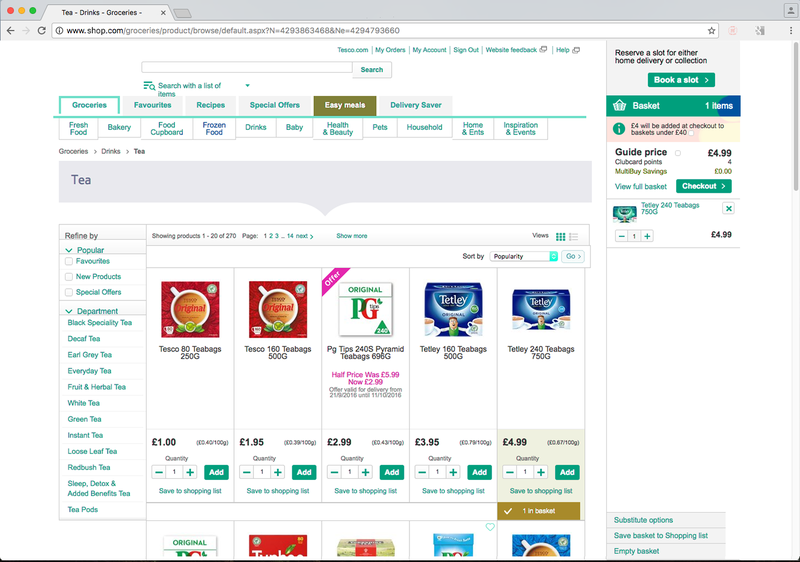 Download Gocompare.comâ€™s Deal Finder in the Chrome store and look for the shopping trolley icon in your search bar.